Currently the senior management team at Ellis Davies is 100% male, but diversity is important to us. We will always employ the most suitable person for each job role, irrespective of gender and monitor diversity on applications, however, we are passionate about encouraging more women into our profession, which is generally still predominately male. 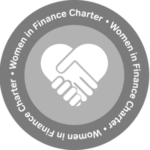 The Women in Finance Charter commits financial services firms to support the progression of women into senior management roles to improve gender diversity. This is achieved by requiring firms to set publicly available targets and to report on progress towards them. At Ellis Davies we recognise the underrepresentation of women in the profession and the existence of inequality of pay. We want to ensure that we are part of any movement that is working towards changing this. As a newly established business we are keen to achieve growth as set out in our five year business plan. Our target is to have 25% female representation in senior management roles in Ellis Davies by 2022, this represents what will be our fifth year in business. We have put clear measures in place to help us maintain this. Reviewing our progress towards our target at each quarterly strategy meeting.